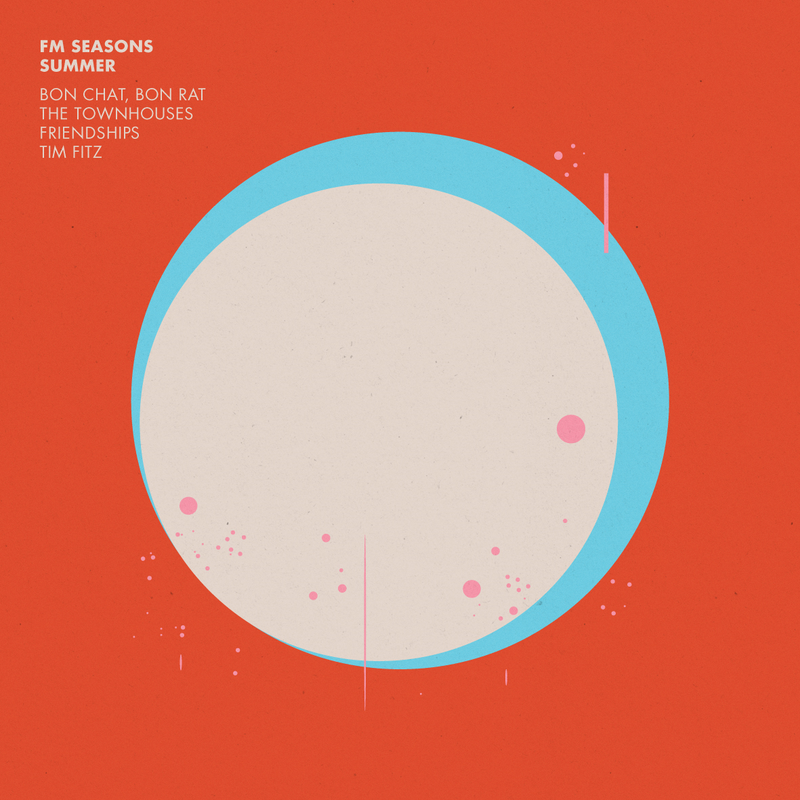 The Summer EP is the third instalment in an exciting four part series of releases inspired by the seasons. The Summer EP opens with Sydney electronic duo Bon Chat, Bon Rat who contribute a cover (a first for the series) of the early INXS classic Don’t Change. The duo took inspiration from the opening synth line of the original, which they felt was particularly evocative of the Australian summer. The original is given a new lease of life with a dance floor vibe perfect for those long hot nights. The Townhouses’ Leigh Hannah continues to mine the slacker pop sounds heard on his most recent single Nag Champa, however the down tempo nature of Magpie, along with the simple drum machine rhythms and soft synth backing recall the minimal ambience of his debut album Diaspora. The summer themes are prevalent throughout with the more obvious references to Magpies fainting and the relentlessness of daylight savings, to more introspective notions of failed resolutions and the flawed idealism based on the hopeful nature of the season. Friendships offer up a synth-laden jungle banger, citing early Dillinja as a particular influence on the track. Although written when Melbourne was still cold and rainy – which accounts for the dark bass edge – the summer vibes can certainly be heard via the timbale rhythms which considering the setting lend the track an almost tropical feel. Tim Fitz closes proceedings with No Rooms Tonight, a track that is somewhat of a departure for the artist with subtle electronic flourishes and pitched-down vocals that provide ghostly harmonies to Fitz’s lead vocal melody. Despite these slightly eerie touches his penchant for vocal hooks and catchy melodies remain, immortalising the Bay Royal in Byron Bay (a fittingly summery beachside location) in the songs memorable closing passage.